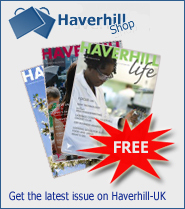 Haverhill Life is a quarterly magazine dedicated to the town of Haverhill in South West Suffolk. The magazine contains news, views and vital facts about the town as well as articles and features. 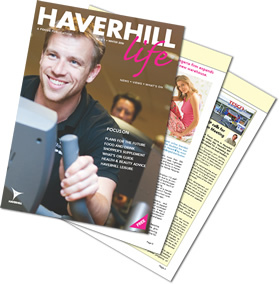 Haverhill Life also carries adverts for local businesses and traders as well as lots more to keep you amused. The magazine is Free and is available from shops, pubs, clubs and other public sites in the town. It is also available in many of the villages around Haverhill. Currently it is not delivered door to door.